Archives of past luncheon talks and other events are here. IVCF-GFM Midwest Live Interactive Video Symposium – How does what you do in academia shape your relationship with God? Audio only recordings are much smaller and suitable for playing when you don’t want to or can’t watch the screen. Like when listening in a car. We’ll explore the Christian practices that form us, the academic practices that shape us, and points of commonality between the two. Featured speaker Tish Warren will speak about concepts in her book, The Liturgy of the Ordinary, adapting and applying them to academic life. Tish will unpack the word “liturgy” and how it impacts working academics. You’ll learn encouraging strategies to live more like Jesus. We’ll discuss how common, everyday practices and issues of the academic life shape those who engage in them. And we’ll examine practices that might address those issues and shape grad students, faculty and staff in other ways; e.g. sleep, loneliness/friendship, tight finances, mental rigor, and more. During our time, Tish will offer short presentations followed by Q&A and local site discussions. We invite lively discussion to facilitate an environment of learning together! Tish Harrison Warren is a priest in the Anglican Church in NorthAmerica and author of The Liturgy of the Ordinary (IVP, 2016). After eight years with InterVarsity Graduate and Faculty Ministries at Vanderbilt and The University of Texas at Austin, she now serves as co-associate rector at Church of the Ascension in Pittsburgh, Pennsylvania. 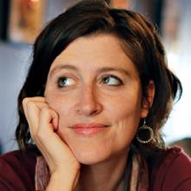 She writes regularly for The Well, CT Women (formerly her.meneutics), and Christianity Today. Her work has also appeared in Comment Magazine, Christ and Pop Culture, Art House America, and elsewhere. An audio recording go the talk is here. A copy of the manuscript is here. Christ will bring ultimate justice but he also calls us to work for justice here and now. We need to see injustice in our community and work to bring relief. Robert Solomon will share from the Bible our call to meet the need for justice. Robert is a graduate of Lipscomb University in Nashville, Tennessee and The Ohio State University Moritz College of Law. 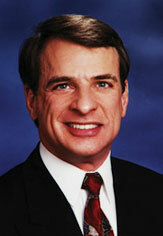 He began his legal career as an Assistant Attorney General for the state of Ohio. He also served as a Franklin County Municipal Court Magistrate before joining The Ohio State University Moritz College of Law to work in administration. 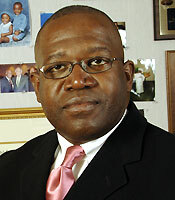 During his tenure at the College of Law, he has served as Assistant to the Dean, Director of the Moot Court and Lawyering Skills Program, Assistant Dean for Admission & Financial Aid, an advisor to the Black Law Student Association and the Christian Legal Society, and as an adjunct professor focusing on Evidence, Trial Advocacy and Appellate Advocacy. In 1999, he left the university to work as an Assistant United States Attorney for the U.S. Department of Justice. In 2001, he returned to the College of Law to assume the role of Senior Assistant Dean for Admission and Financial Aid and to establish an Office of Minority Affairs within the law school as its Director and Chief Diversity Officer. In 2015, Robert assumed his current role as Assistant Vice Provost in the main University’s Office of Diversity & Inclusion. Robert has also been active in the community, currently serving on the Board of Trustees for the Mansion Day School. Past Board service has included the Equal Justice Foundation, the Law School Admission Council (LSAC) and the Columbus Academy. Robert has been an active volunteer with LSAC in other capacities as well, including service on the Misconduct & Irregularities in Admission Sub-committee, Finance & Legal Affairs Committee, Diversity Committee and the 2011 Annual Meeting Planning Committee. He also served on the Diversity Committee of American Bar Association. Robert has been active in the local Bar as well, having served as Chair of the Law School Liaison Committee for the Columbus Bar Association(CBA), the Long Range Planning Committee and the Minority Clerkship Task Force. He has served on the Executive Board of the John Mercer Langston Bar Association( the local National Bar Association chapter) as Parliamentarian, Chair of Professional Development Committee and as President. Robert is a President Emeritus of 100 Black Men of Central Ohio and is the Board Chair Emeritus of the Africentric Personal Development Shop. His past honors have included being appointed by former Ohio Governor Ted Strickland to serve on the Ohio Ethics Commission in 2010, selected by Congress to represent the District at the 2006 National African American Leadership Summit in Washington, D.C., and the 2015 National Hispanic Bar Association Region X President Award. Robert has also served as Associate Minister for the Genessee Avenue church of Christ in Columbus since 1990, first as the youth minister and currently as the marriage & family minister. He and his wife, Dinessa Solomon, co-founded the non-profit organization, Foundations for Families, which focuses on strengthening marriages and families. Robert chairs the Ohio State Youth Conference, another organization he helped to establish more than 30 years ago. OSYC which host a weekend retreat for Christian youth on a college campus each Summer and coordinates youth event throughout the year for Christian youth all over Ohio. Robert and Dinessa have two children. An audio recording of the talk is here. 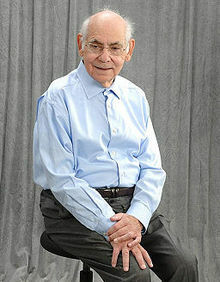 Dr. Steven Reiss is professor emeritus of psychology at The Ohio State University. He and his wife Maggi have two grown sons. Dr. Reiss lead the team that discovered anxiety sensitivity, is a leading authority on the co-occurance of mental illness and intellectual disabilities know as “dual diagnosis”, and done much work on the care and treatment of people with developmental disabilities. He has also studied intrinsic motivation and identified 16 psychological needs or “basic desires,” which are goals common to everyone and deeply rooted in human nature. This work lead to his developing a theory of the psychology of religious experiences. 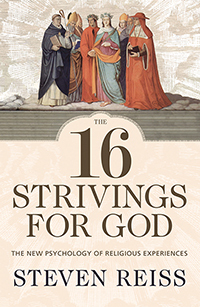 Dr. Reiss’s book The 16 Strivings for God (Mercer University Press, 2016) describes his theory of what attracts people to religion is based on his research in the 1990s on motivation. He and his colleagues surveyed thousands of people and asked them to rate the degree to which they embraced hundreds of different possible goals. In the end, the researchers identified 16 basic desires that we all share: acceptance, curiosity, eating, family, honor, idealism, independence, order, physical activity, power, romance, saving, social contact, status, tranquility and vengeance. While the theory can tell us a lot about the types of people who are attracted to religion and different religious experiences, it cannot say anything about the truth of religious beliefs, Reiss said. Quotes from the OSU Newsroom. Bob Trube has posted a review of The 16 Strivings for God on his blog Bob on Books. For more information see the Veritas Forum web site. Is God timeless? If God is beyond time how does he relate to our time space continuum? Does it makes sense to talk about a timeless person? Does time affect God? Or does God affect time? William Lane Craig is Research Professor of Philosophy at Talbot School of Theology and Professor of Philosophy at Houston Baptist University. He and his wife Jan have two grown children. At the age of sixteen as a junior in high school, he first heard the message of the Christian gospel and yielded his life to Christ. 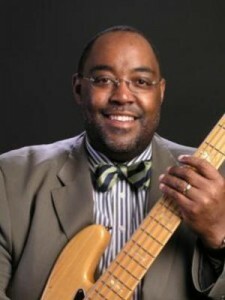 Dr. Craig pursued his undergraduate studies at Wheaton College (B.A. 1971) and graduate studies at Trinity Evangelical Divinity School (M.A. 1974; M.A. 1975), the University of Birmingham (England) (Ph.D. 1977), and the University of Munich (Germany) (D.Theol. 1984). From 1980-86 he taught Philosophy of Religion at Trinity, during which time he and Jan started their family. In 1987 they moved to Brussels, Belgium, where Dr. Craig pursued research at the University of Louvain until assuming his position at Talbot in 1994. It is challenging to overcome the urge to procrastinate, despite the behavior’s negative impact on learning, sense of accomplishment, and life satisfaction. From the perspective of a decade of work in higher education, Lauren Hensley will explain her motivation for studying the topic of procrastination and present key findings from the scholarly literature. She will also explain how faith in God’s promises can help us address the fear of failure, perfectionism, and need for immediate gratification that are at the core of many forms of procrastination. Lauren Hensley is Senior Associate Director of The Ohio State University’s Walter E. Dennis Learning Center. Her current efforts focus on developing and managing college success courses, leading the Dennis Center’s instructional team, conducting educational research, and collaborating with other university units on initiatives that support students’ learning and motivation. She has been with the Dennis Learning Center since 2006 in roles including Graduate Teaching Associate, Coordinator of Learning Services, and Interim Director. She is a graduate of Ohio State’s Educational Psychology doctoral program, where she received the Loadman Dissertation Award (2014) for her research on procrastination. She also received her master’s degree in Higher Education and Student Affairs (HESA) from Ohio State. 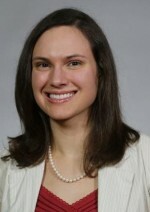 Her contributions have been recognized by The Ohio State University Board of Trustees, who awarded her a Student Recognition Award for leadership and scholarship (2012), and Student Life Disability Services, who designated her a recipient of the office’s Special Recognition Award for exceptional service (2009). In addition to learning and helping others to learn, Lauren loves to sing. She is grateful to serve on the musical worship team at Vista Community Church and to be a member of Capriccio Columbus, an 85-voice adult choir. Sue noted that she had read that J. K. Rowling had put in clues in the early Harry Potter books that foreshadowed events at the end of the series. When she read the Harry Potter books she looked for they clues. She has also found that a helpful skill in reading the Bible. Faculty Stories – Terry Gustafson from InterVarsity twentyonehundred on Vimeo. Dr. Terry Gustafson, Professor of Chemistry at The Ohio State University, integrates science and faith, with great care for his students. Between Heaven & Earth: My journey from life to death to life again. The presentation covered a quick personal story of Dr. Thompson’s journey from a small farm in West Virginia to the challenges of exploring the highest mountains on Earth and the lessons he has learned on that journey. He discussed the challenge of facing a heart transplant and coming to terms with the fact that we all must die. His saga of four months in the Ross Heart Hospital where he spent many weeks between life and death has led him to relate his near death experience and how that has changed his vision and quest for purpose in life. An audio recording of the talk is available here. A video recording is coming. 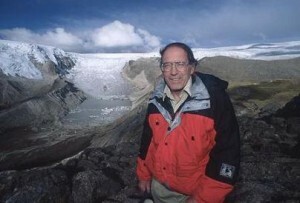 Lonnie G. Thompson is a Distinguished University Professor in the School of Earth Sciences and a Research Scientist in the Byrd Polar Research Center at The Ohio State University. His research has propelled the field of ice core paleoclimatology out of the Polar Regions to the highest tropical and subtropical ice fields. He and the OSU team have developed light-weight solarpowered drilling equipment for acquisition of histories from ice fields in the tropical South American Andes, the Himalayas, and on Kilimanjaro. These paleoclimate histories have advanced our understanding of the coupled nature of the Earth’s climate system. Special emphasis has been placed on the El Niño and monsoon systems that dominate the climate of the tropical Pacific and affect global-scale oceanic and atmospheric circulation patterns. His observations of glacier retreat over the last three decades confirm that glaciers around the world are melting and provide clear evidence that the warming of the last 50 years is now outside the range of climate variability for several millennia, if not longer. He has published over 185 peer-reviewed publications including several in the journal Science, led over 54 field programs, and has been funded by the National Science Foundation, the National Ocean and Atmospheric Association, and NASA. Lonnie has been recognized with many honors and awards including the National Medal of Science, the Tyler Prize (the World Prize for Environmental Achievement), and the Dan David Prize. In addition, he is an American Geophysical Union Fellow, an American Association for the Advancement of Science Fellow, and a member of the National Academy of Sciences. From the Geology Department website. Lecturer, Music Education, OSU School of MusicDecisions and inspirations that ultimately aligned my passion with my purpose. Trials and victories that demonstrate God’s power in His promises. Audio of talk is available here. 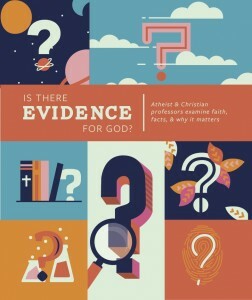 The luncheon was presented by the Fellowship of Christian Faculty and Staff (FCFS) at OSU, a ministry of InterVarsity Christian Fellowship, in partnership with the Christian Graduate Student Alliance at OSU. This was an opportunity for our pastors to hear about Christian groups on campus, and also hear from some of our faculty and staff about the realities of living out their Christian faith in their university roles. We shared with each other brief reviews of books we have read recently and that could then be used to start discussion groups on campus. A list of the books discussed is linked below as is a list of books read by the Dead Theologians Society.